Step up your competitive game with a sophisticated, yet easy to manage solution to drive your customer-focused business strategy. Efficiently keep track of past, present and future customers to maximise sales and minimise costs. Improve the quality of your marketing and lead-generation efforts with campaigns built on strategy and implemented through task reminders and activity automation. 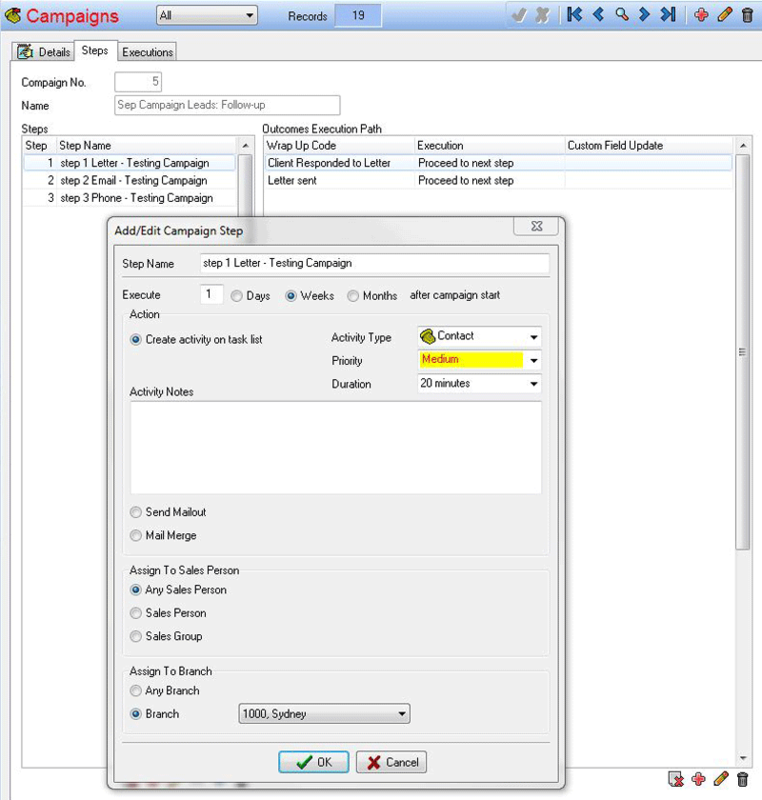 Create targets with database filtering. Develop a hierarchy of campaign objectives. Assign tasks and track results. Clearly document the results with custom wrap-up codes. 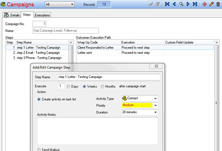 Custom build campaigns to grow or improve your business, and let Xpect’s campaign manager follow through on every action and activity specified. With complete visibility of customer records, activity and purchasing behaviours, you take the guess work out of allocating time and resources to new developments and areas for improvement. Use Xpect's built-in tool set to identify patterns, analyse campaign test results and get really focused on areas where profitable growth is most likely. Creating and managing frequent buyer programs is easy. Just set the point accumulation rate and customers will begin earning reward points as they shop. Plus, credits are automatically awarded to the customer so the whole process is set and forget! Custom fields and layout control. Workflow rules and task automation. Advanced tracking, reporting and dashboard management. Activity tracking integration with MS Exchange™. Mail merge and document management. Lead tracking and decision tree support. Role-based access and permission settings.